Here is what I have on the schedule so far for 2018. Please see below to check out my future engagements scheduled thus far and consider attending if you are in the area! I will be announcing new dates for my Glute Lab Seminars on my social media and newsletter first so be sure to subscribe to receive the most current information. 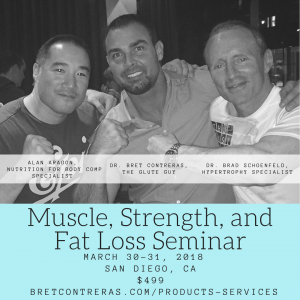 I’m teaming up with Alan Aragon and Brad Schoenfeld to teach about muscle hypertrophy, fat loss nutrition, and glute training at the newly opened Glute Lab! Some of the best minds in the field are joining forces in Melbourne to discuss all things body composition, the psychology of fitness, strength, performance, and more! 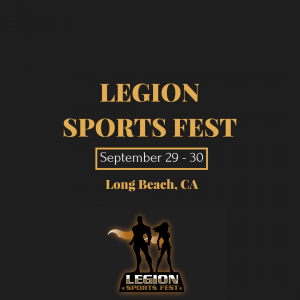 I’m headed to Long Beach to talk about comprehensive glute training for athletes! 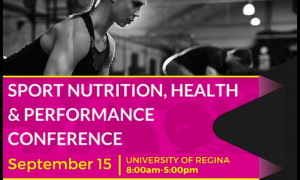 Many of the most respected names in training, conditioning, and rehabilitation will be there ready to educate through a mix of lectures and hands-on learning experience. Brad Schoenfeld, Ph.D.: Training & Nutritional Strategies to Maximize Muscular Gainz! I’ll be presenting a step-by-step guide to designing highly effective training programs. 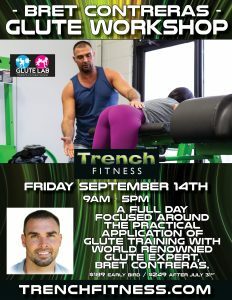 I’m headed to Canada to give an all day glute training practical at Trench Fitness! That’s all I have officially on the calendar for now. I have a few more speaking engagements in the works so be on the lookout for future announcements!